We’re back from refueling our Disney addiction, this time taking the Boy for the first time. Wow. Have I mentioned boys are different? We’ve experienced Disney in the form of fairy dust and princess kisses…this time was full-body-contact Disney. The great thing about Jack, he’s game for anything. No cajoling into the Pirates of the Caribbean or the Haunted Mansion. He navigated the week with two phrases: “What’s next?” and “Let’s do it again!” Fumes from the idling Tomorrowland Speedway were his pixie dust, the rumble of Test Track pierced straight to his soul in the same way Tinkerbelle starting the fireworks mesmerized the girls. Disney continues to amaze us with their ease and expertise on food allergies. We ate cereal in our hotel room and packed our lunches, but dinners were always a treat. Since Disney and Wendy’s are the only restaurants my kids have eaten in, it’s always a bit (ok, a lot) of a splurge but worth it. Our favorite restaurants continued their winning streak: Princess Lunch at Akershus, Rose & Crown, Brown Derby and California Grill (my Disney wish would be dinner here every night of the vacation!). But the hands-down winner of the trip, was the restaurant we almost skipped because I wasn’t sure about the menu. Yes, I know, it sounds just like the time we almost skipped Rose & Crown because I was Doubting Disney. This time, the winner was Kouzzina at Disney’s Boardwalk resort, a short walk from our room at the Beach Club. And the newest Disney Princess is Chef Dee. Kouzzina is a Greek-themed restaurant, brainchild of Cat Cora. I’ve been lucky enough to be a recipient of Greek hospitality, in the form of a colleague’s family while I practiced in Maine. I also know about the presence of simply prepared egg and cheese in Greek food, hence my hesitation. In the case of Chef Dee, she combined the best of simple cooking with intoxicating Greek hospitality and made Disney Magic. It wasn’t just that she came to our table to discuss the menu. 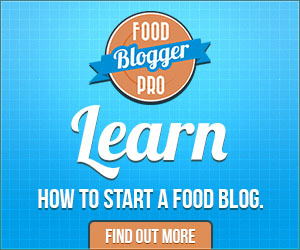 Nearly all the chefs did that. It wasn’t just that she prepared the kids an excellent meal of grilled chicken strips with orzo and marinara on the side. Again, good food is a given at Disney (although, the kids did rate her chicken strips the tops in Disney, and they inhaled her pasta). Chef Dee mothered our table, we were her guests. She stopped by, making sure the food was perfect. With a dessert in mind, she checked to make sure the kids were making headway on their veggies. 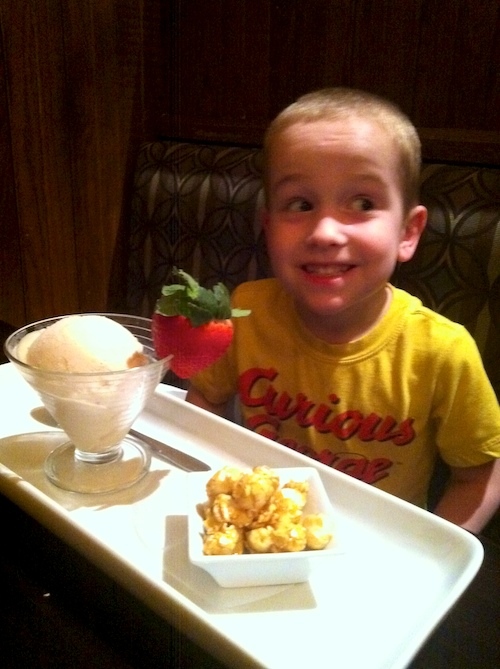 And when dessert came, the kids gasped with delight. I just shook my head in amazement…she understood. She took basic ingredients, Rice Dream, Divvies caramel corn and a strawberry and with a little attention to detail, presented a dessert that showed she cared. This sort of alchemy, trying to make culinary gold out of limited ingredients, is what we spend years trying to achieve…only to realize kids don’t care about the perfect egg and dairy-free creme brûlée. They’re just as amazed by rice crispy treats cut into heart shapes. Chef Dee showed that wisdom naturally, and used magical plating to transform the common into an extraordinary treat. The high-tech imagineering may be what draws folks to Disney initially, but these little unexpected moments of individualized imagineering are what keep bringing us back. Thanks Dee. Yeah for Disney chefs! We go again in June and I can't wait. We are trying 1900 Park Fare this trip to see if we can score a chef TJ meal. Here's hoping. Glad to hear you were recharged! 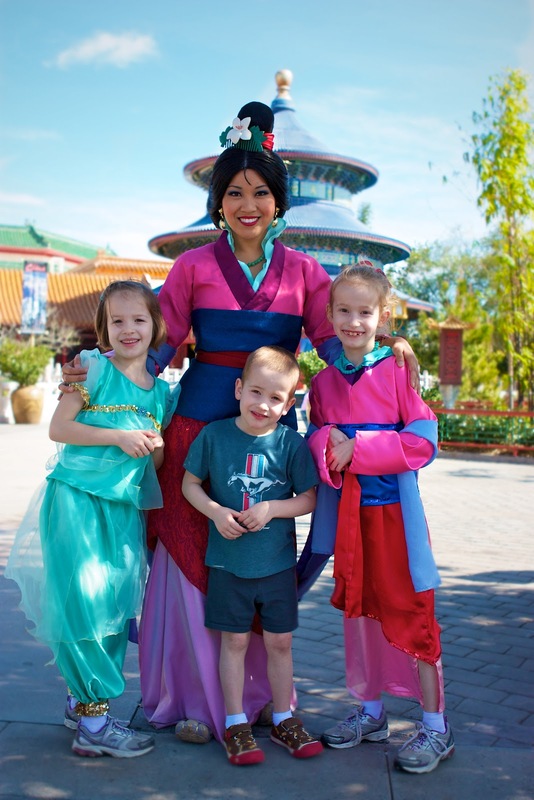 I was highly impressed with Disney and their attention to our food allergies! Our meals were always very delicious and we had NO problems getting food for the kids. We are definitely going with the meal plans during any of our Disney trips…. We had a similar experience wiith all of the Disney restaurants that we tried during our last Disney trip–my son who has multiple food allergies loved all the special attention! 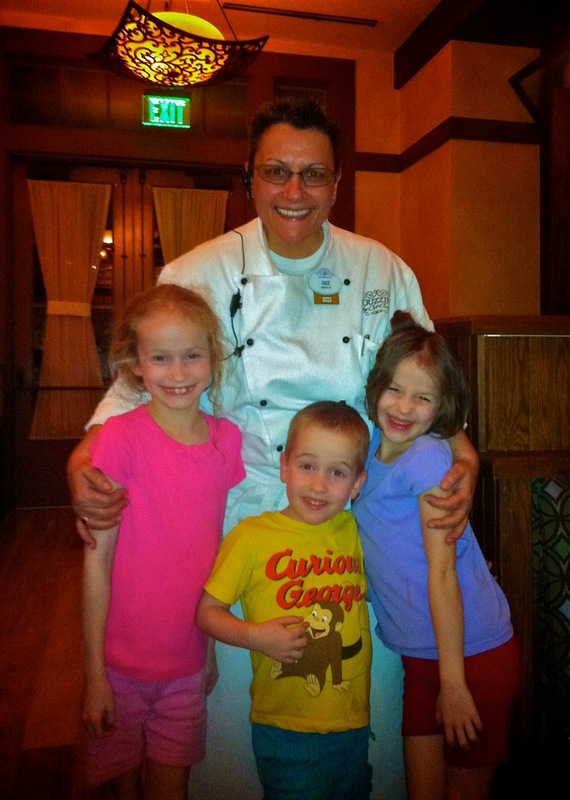 We also took pictures with the chefs–it was our version of "Character Dining"! Hi, everyone — would anyone know if DisneyLand (Anaheim) is as excellent for food allergic patrons as DisneyWorld Orlando? My 6 year old multiple food allergic kid is going with my husband on a west coast trip and they’d like to go. I thought I could make a few calls to plan a meal but wondering what everyone else thinks. Thank you!